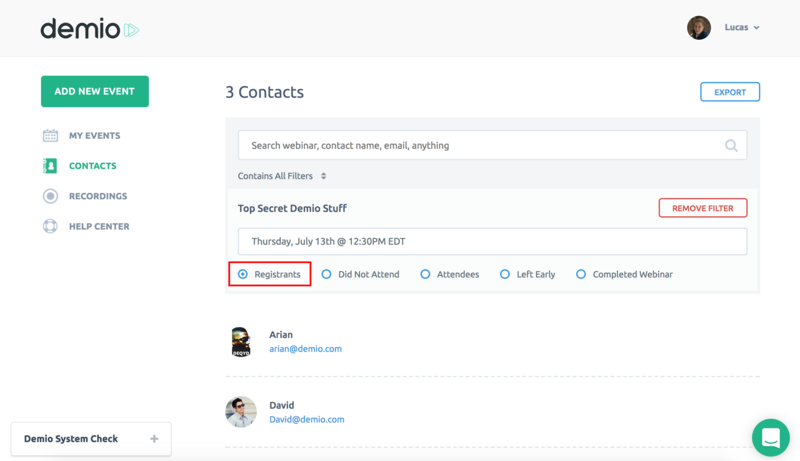 With Demio's Contacts section, you can build a filtered list of contacts based on past or upcoming webinars. You can search for a webinar name, contact name, or contact email. Just start typing, and select what you're looking for when it pops up. In the example below, a past webinar is applied as a filter. This means that it is only showing Contacts from this webinar. Additionally, it is further segmented by showing only 'Registrants' from this webinar. 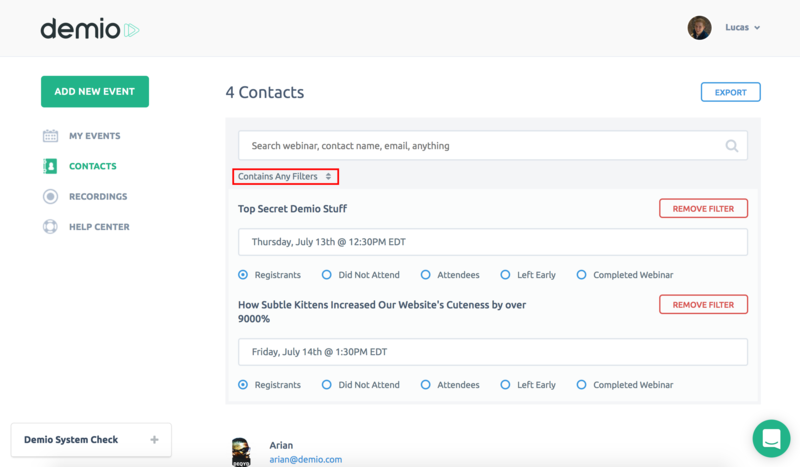 You can also segment this webinar's contacts by Attendees that Did Not Attend, Attendees, Attendees who Left Early, and Attendees who Completed the Webinar. In this example, there are two past webinars applied as filters. Currently this list displays only Registrants of BOTH webinars. Contacts must meet all criteria. Now, the list has been updated to show Registrants of either webinar. You can remove any filters applied by clicking on the 'Remove Filter' button. 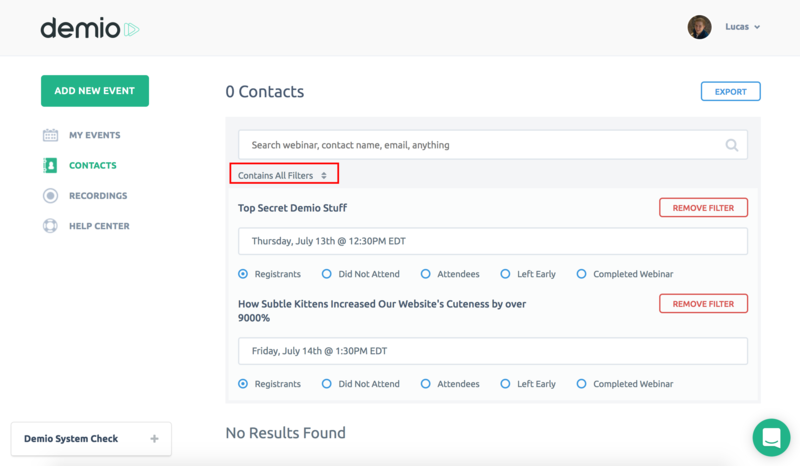 You can even apply specific dates of a webinar series as individual filters for your contact sorting. You can export any segment of contacts as a .CSV file by clicking on the 'Export' button in the top right.